This week we launched on Monday, Tuesday and again today. Monday and Tuesday were pleasant as there was no swell or wind to worry about, however the visibility was pretty lousy. Mostly pea soup around Roman Rock and a little further south and 4-5 metres in Smitswinkel Bay. One day of westerly wind, not even that strong, and False Bay transformed. On the wreck of the Princess Elizabeth this morning the visibility was 20 metres plus. It is quite astonishing how quickly things change. I think the viz will remain for the weekend and Saturday is probably going to be the best day. There’s less wind on Sunday but a lot more swell and therefore surge to deal with. 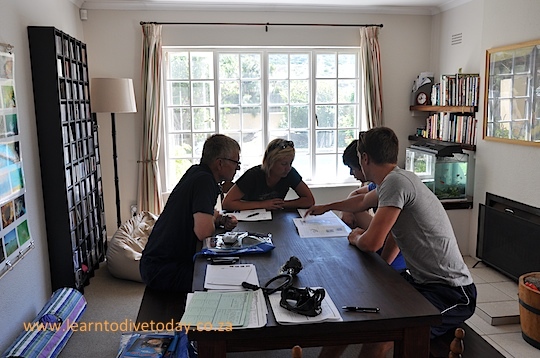 I have students to qualify so both dives will be to a maximum depth of 18 metres. Most likely to Alpha Reef and the northern part of Roman Rock. Get the details of the next Shark Spotters fundraiser, happening on Wednesday 31 May, here. Book directly with the Two Oceans Aquarium. Greg Bertish, author of The Little Optimist, will talk about his adventures, and about the early days of the Shark Spotters program. We have donated an auction item/lucky draw prize! We will not be diving this weekend, but if you are able to get into the water then do so. False Bay looks promising. We will be back to full dive mode on Monday morning. 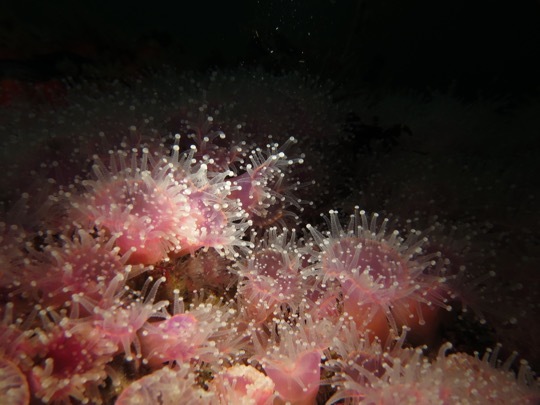 Thank you to Jerrel for this week’s gorgeous photo of strawberry anemones, which he took on a dive off our boat to Roman Rock on Freedom Day. The winning photographs from the prestigious international Underwater Photographer of the Year Competition are on display at the Chavonnes Battery Museum until 30 September. The exhibition is in partnership with the NSRI. If you have a Wild Card, take it along for discounted entry. I tried very hard to get a picture of one of our cats wearing a Santa hat for this newsletter, but failed. Sorry. 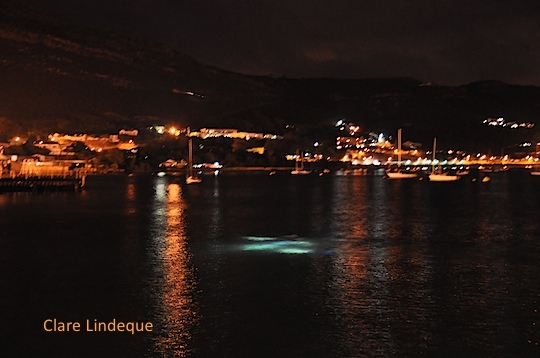 We will be launching from Hout Bay or Oceana Powerboat Club, on Saturday, Sunday and Monday. Text or email me if you want to do some cold water diving. So December is almost over, all that’s left is a few presents to open, lots of food to deal with and to get some diving done. We have had some serious wind this week but it is set to slow down for the next few days. I doubt False Bay will offer up much but I could easily be wrong. If the wind drops the water is surprisingly clean given the wind and looks far better than it did last weekend. 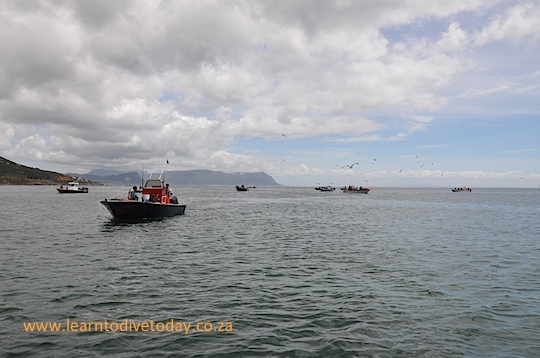 We dived False Bay last Saturday and Sunday and had really calm seas but really poor viz. On our way back from Shark Alley we stopped to visit the rays at Miller’s Point, and counted twenty snoek fishing boats in the queue to use the slipway. On days like that I’m grateful for False Bay Yacht Club! I do think Hout Bay will offer up the best options for the next few days but Table Bay also has the potential to deliver good viz after so much south easter. For the next ten days we will play it by ear and will most likely launch every day as the weather permits as I have several Open Water, Nitrox and Advanced students to get dived. We won’t plan to be closed on any specific days during this period as we have enough days of loafing when the weather is poor, so if the sea is good we will dive. Congratulations to Matthijs who has won himself a Nitrox course in the November boat lucky draw. One diver who is on our boat this month will also win a Nitrox course, or two boat dives if they’re already Nitrox certified. All you need to do is show up. Wind, walkers and waves will mean we are diving on Saturday in False Bay starting real early, i.e. 7.00 am at the Yacht club. We plan to dive Atlantis and the Brunswick. On Sunday there will be way too much traffic and road closures to make an early start possible and I don’t think the wind will allow anything later in the day. I am really keen to do a double tank dive to Justin’s Caves or to dive North and South Paw, but will make that call on Saturday afternoon once we have a better idea of the wind (which looks iffy) and the viz. The last week has been spent driving instead of diving as all our cylinders were due for their annual medical examination. 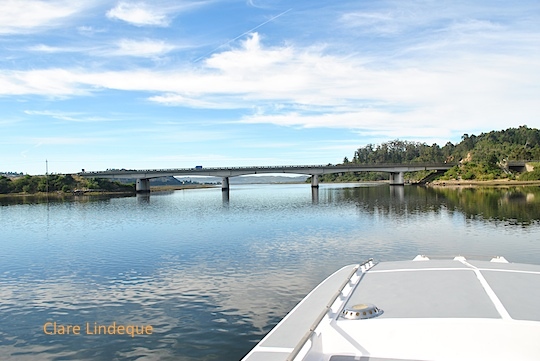 We did cancel last weekend’s dives due to the wind being a little stronger than I like to launch and dive in, but the guys that did go out reported really good conditions. 2005: 351 divers in Norway. 2006: 889 divers in Denmark, Norway and Sweden. 2007: 1859 divers in Denmark, Estonia, Finland, Iceland, Norway, Sweden and also Svalbard. If you think the water is cold here, you should feel it in Scandinavia in November, where this event started! Congratulations to Bianca, who won two boat dives in the Diversnight lucky draw this evening! Also congratulations to Esti who has won a Nitrox Specialty course in the October boat divers’ lucky draw. We will have another draw for boat divers in November and one in December. To enter, come for a boat dive. You’ll win a Nitrox course, or, if you’re already Nitrox certified, you’ll win two boat dives! Sometimes I have students and former students who want to sell some gear secondhand. If you’re looking for gear, let me know and I might be able to put you in touch with someone. The details of the transaction are up to you! At the moment I know someone with a Suunto D6i dive computer and a regulator set for sale. If you’re interested drop me a mail and I’ll hook you up. To subscribe to receive this newsletter by email, click here or use the form on this page! Launching on Saturday and Sunday, at 9.30am and 12pm – conditions are dubious, so a final call on the status of the launches and their locations will be made first thing on each morning. Text or email me if you want to dive. 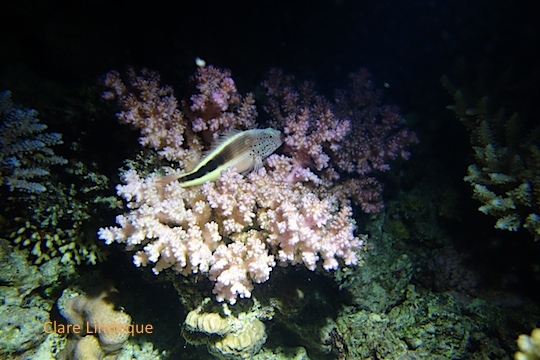 So, the Red Sea trip has come and gone and without a doubt I will miss the visibility the most. On a bad day we had 20 metre viz and on a good day easily 40. I won’t go into the dives that much as Clare will post details with pictures on the blog and facebook in the coming weeks. We did about 20 dives in total so there is a lot to cover. Every dive was done on Nitrox. 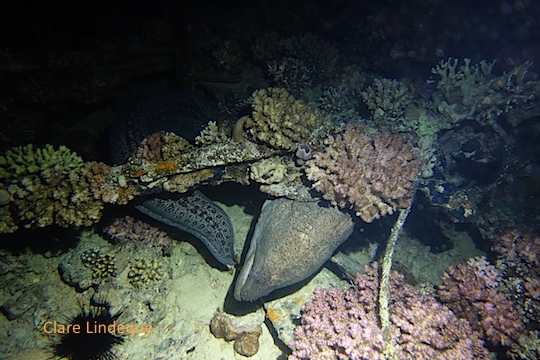 Since it’s Halloween, the photos in this newsletter are from one of the night dives we did while we were in Egypt, at a wreck of a small barge located at Bluff Point. Having been out of the Cape Town water for the last two weeks I have very little to contribute but I am keen to get in the water this weekend and shock my self into the reality of slightly cooler water. As usual we are puppets on the strings of weather forecasts that all have oddities this weekend. Tomorrow and Saturday False Bay is supposed to have a south easterly swell and a south easterly wind. That means that Atlantic might work. It does not look too clean today but the south easter tomorrow might be enough to clean it up (but don’t hold your breath – one day of south easter is rarely sufficient). On Sunday the swell is very westerly so that is good for False Bay, but will Saturday’s swell ruin it? Hard to tell. The plan therefore is two launches on Saturday and two on Sunday at 9.30 and 12 noon. 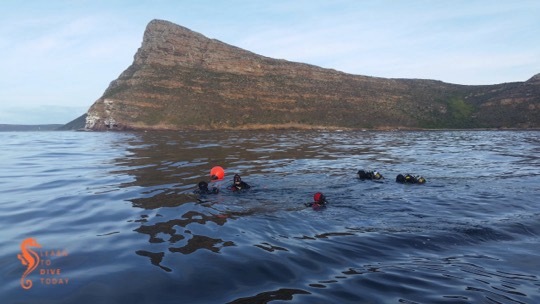 Destination unknown, but irrespective of whether we dive False Bay, Hout Bay or Table Bay there are so many sites to choose from and we you can decide on the day. I will go and take a look at the sea really early and text whoever has booked by 7.30 as to the launch site. 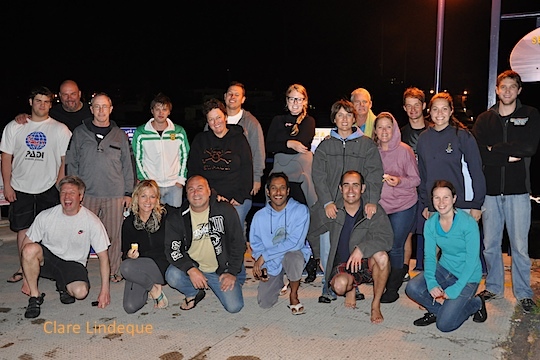 It’s Diversnight on Thursday 7th (this coming Thursday) and we will dive the jetty in Simon’s Town as we did last year. We will meet in front of Bertha’s at about 7.00 -7.15pm, and aim to enter the water at around 8 pm. The whole idea is to have as many divers in the water at precisely 2013… Thirteen minutes past eight, around the world. Sign up (or get details) here. If you need to rent a torch or gear, please let me know by Wednesday! And don’t forget that there will be a couple of lucky draw prizes, and cake! DAN Day, Saturday 9 November – remember to book in advance if you want to attend. We are still running our lucky draw boat dive/Nitrox course competition for passengers on our boat each month from October to December. October’s winner will be announced in next week’s newsletter, and on facebook. To be eligible to win a prize (of a Nitrox course, or two free boat dives if you’re already Nitrox certified), you just need to do a boat dive with us. Simple! 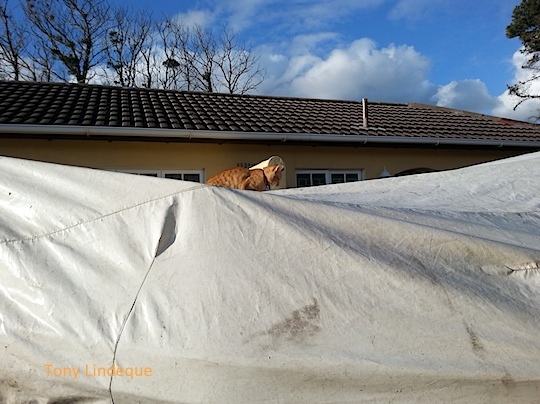 I think the picture of our boat all covered and ready for possible rain and gale force winds tell the story of what I reckon the weekend offers. No diving. Sadly, too much wind and some rain on Saturday and again way too much wind for Sunday mean we will skip diving this weekend. 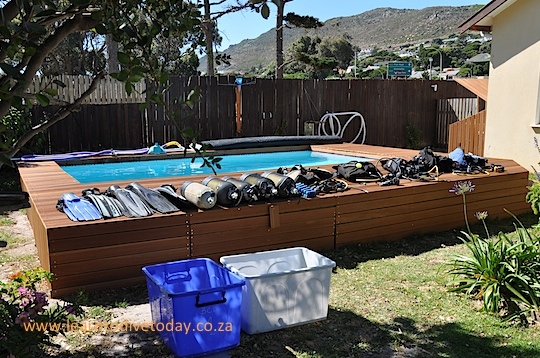 If you cannot go without a fix try Indigo Scuba… Deon is chairman of the Good Diving in Gordons Bay Club, and if he says it’s good, then go dive! The good news is that the weekend brings the Cape Town Boat Show with a few interesting talks and of course lots of interesting goodies. I think it would be a good idea to attend, so that you can get an idea of the range of items that will be on my 2013 Christmas list. At the end of each of the next three months (October, November, and December) we will do a lucky draw from the names of everyone who has done a boat dive with us that month, and the winner will either win a Nitrox specialty course OR, if the winner is already Nitrox certified, the prize will be two free boat dives. This annual event happens on the 7th November this year. Last year we had 20 divers in the water and we hope to have more this year. Where we dive is still to be decided but we are open to suggestions. Last year we dived at the jetty in Simon’s Town, but we’ll have to check whether we can get permission to do it again, and whether the tides are favourable. Diversnight is an international event with a bit of background available here. Note the bit about the cakes – we missed that out in 2012, must rectify in 2013! This year there will also be some prizes, so watch this space. The aim is to have as many divers as possible in the water at 13 minutes past 8 pm (2013). Sign up here and stay informed! The North Atlantic right whale has had a rough past few centuries. For much of the 16th to 19th centuries, they were the preferred target of whalers, adventurous hunters who used small wooden boats and threw harpoons in pursuit of valuable whale oil. In fact, the species is so named because it was considered the “right” type of whale to kill, as its tendency to float after death meant you didn’t have to bring the beast onboard in order to harvest its oil. By the late 1700s, the population was no longer commercially viable, and by 1935, biologists estimate that there were fewer than 100 individuals. 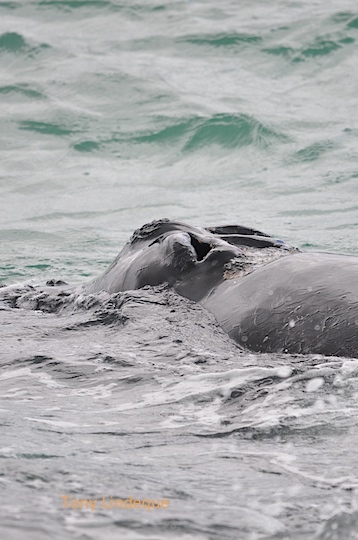 The right whale gained legal protection in 1937, but population levels haven’t recovered the way many would have hoped (the current estimate is approximately 400), due largely to the new threat of accidental collisions with ships. Read the full article here. The competition website is here. Over 2000 entries have been received so far, and it closes on 8 May 2013. The topic of establishing a floating utopia, free of the strictures of governments, is one that humanity (and I) keeps returning to. I posted a link to an interesting summary published in the Daily Maverick, and then just recently came across an old (2009) article from Wired.com about “seasteading” (like “homesteading”, if the word sounds weird to you). The Seasteading Institute is a non-profit organisation that was started in 2008 (and is still in existence) in order to facilitate thought and research about the legal, techonolgical, social and other challenges that will have to be addressed in order to make a sustainable floating ocean “country” a reality. The founders believe that competition in government, and the creation of new, “start-up governments” to run these floating entities will be a good thing for humanity. A browse through the Seasteading Institute website reveals that they are deadly serious about their aims, and view seasteading as one of the profitable entrepreneurial activities of the future. There is even an award, the Poseidon Award for the first financially self-sufficient seastead with 50 or more residents. While the idea of living on the ocean appeals, I’d like to be able to choose whom I share that space with. 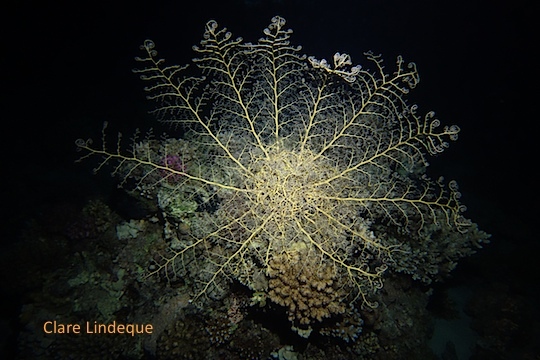 I am intrigued and inspired, however, by the disruptive and creative thinking that is demonstrated by those who are working seriously to make self-governing ocean habitats a reality. Read the full Wired.com article here. 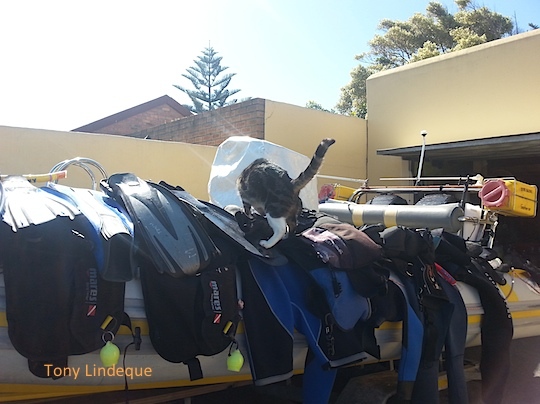 This year, Learn to Dive Today has donated a Discover Scuba Diving experience as a prize in the Romeo’s Wish raffle, to raise funds for DARG (Domestic Animal Rescue Group) in Hout Bay. We love dogs and cats (all creatures except mosquitoes, actually!) 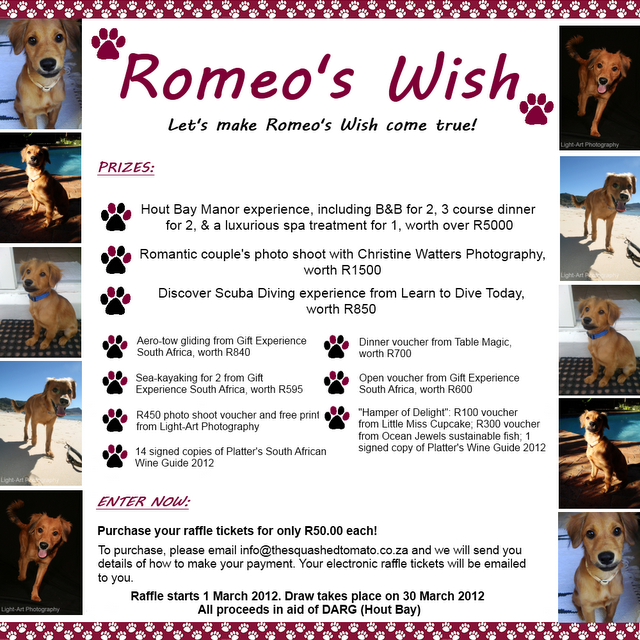 and are happy to contribute towards making a difference in the lives of some pets that would otherwise be neglected. I don’t often wish I lived somewhere else, and to say that recent events made me wish I lived in the USA would be a bit of an exaggeration… But I did have a passing pang of wistfulness when I received an email from a lady called Jennifer, the publicist for a new movie produced by James Cameron – he of big budget extravaganzas such as Titanic, Avatar, and some other stuff. He also happens to be a keen scuba diver. The movie’s publicists are using the blogosphere (how I hate that word) to drum up excitement and publicity for the movie. One of the bloggers we follow, Duane Johnson of Precision Diving based near Chicago in the USA, has already gotten busy! This is pretty new to us, being bloggers of relatively recent vintage and attracting a fairly narrow range of readers… We don’t get offered freebies! More mainstream bloggers get given all sorts of goods from cases of wine, to jeans, to dresses, iPhones and handbags… In exchange for blogging about their virtues. Granted none of those items would interest Tony and only a few would interest me (except for the iPhone, which would interest both of us)… But it’s the principle of the thing. So I was kind of happy to be contacted by Jennifer. We were invited to participate in various regional events planned for the film’s launch and to blog about the movie in exchange for free bits and pieces to give away to our reader(s). But the promotional events are all happening over in the USA. And apparently the market defined by “readers (a couple) of South African scuba diving blogs (one so far)” is too small to warrant the film company shipping shirts, caps and pen lights out to our shores. Boo hoo! 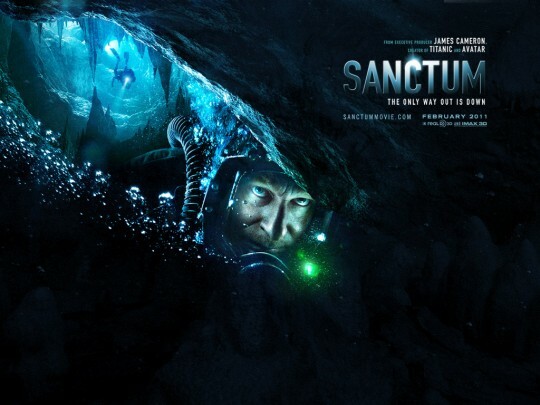 Master diver Frank McGuire (Richard Roxburgh) has explored the South Pacific’s Esa-ala Caves for months. But when his exit is cut off in a flash flood, Frank’s team—including 17-year-old son Josh (Rhys Wakefield) and financier Carl Hurley (Ioan Gruffudd)—are forced to radically alter plans. With dwindling supplies, the crew must navigate an underwater labyrinth to make it out. Soon, they are confronted with the unavoidable question: Can they survive, or will they be trapped forever? Shot on location off the Gold Coast in Queensland, Australia, Sanctum employs 3-D photography techniques Cameron developed to lens Avatar. Designed to operate in extreme environments, the technology used to shoot the action-thriller will bring audiences on a breathless journey across plunging cliffs and into the furthest reaches of our subterranean world. I think Cecil will enjoy it, for one! Here’s the official website for the movie. There’s also a youtube channel that might be worth checking out (after Tony’s, of course). The film opens in the USA tomorrow. I hope it comes to cinemas here, otherwise we’ll have to order the DVD directly! P.S. The poem quoted repeatedly in the movie is called Kubla Khan and it’s by Samuel Taylor Coleridge. You can find the complete text here.